Dependable, hard-working, and modern, the 2017 GMC pickup trucks offer staggeringly high towing and payload capacities, backed by comfortable cabins and safety technology. If you’re shopping around Lloydminster for a small, midsize, or full-size truck, the GMC lineup delivers. From the Canyon, to the Sierra 1500, to the Sierra 2500HD and 3500HD, Westridge Buick GMC has the bold, long-lasting family or work pickup you need. Check out our new vehicle inventory for the most recent GMC trucks! The 2017 GMC trucks are powered by three standard engines: a 200-hp 2.5L 4-cylinder engine, a 285-hp 4.3L EcoTec3 V6 engine, and a 360-hp 6.0L V8 engine. With their base engines, the Canyon and Sierra 1500 produce 191 and 305 lb-ft of torque, respectively, while the Sierra 2500HD and Sierra 3500HD dish out 380 lb-ft of torque. Out of the four pickups, the Canyon earns the highest base fuel economy rating, which comes in at an EPA-estimated 12.4 L/100 km city / 9.0 L/100 km highway. The 2017 GMC truck lineup features a standard 6-speed shiftable automatic transmission, as well as front independent suspension and a choice between rear- and four-wheel drive. With the optional turbo-diesel engine, the smart-sized Canyon can tow a max of 3,493 kilograms, and haul as much as 660 kilograms. Properly equipped, the next-level Sierra 1500 can tow up to 5,670 kilograms, and hauls up to 889 kilograms with its standard engine. The Sierra 2500HD can trailer up to 8,210 kilograms (Fifth-Wheel/Gooseneck), and haul up to 1,834 kilograms. The heavy-duty Sierra 3500HD brags max towing and payload capacities of 10,478 kilograms (Fifth-Wheel/Gooseneck) and 2,772 kilograms, respectively. 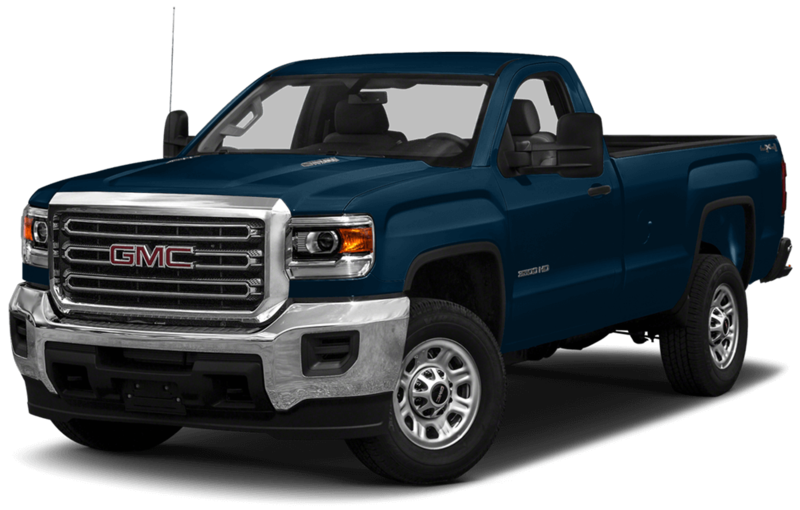 Sensibly designed for both comfort and utility, the GMC trucks make great additions to Lloydminster families and businesses alike. With rear-seat delete, it’s a cinch to turn your truck into a work-ready vehicle. Despite their unique capabilities, the GMC trucks include a variety of shared cabin features, including air conditioning and cloth or vinyl upholstery for added comfort, as well as rubber or vinyl floor coverings for easy cleaning. Each GMC truck comes standard with a 107-millimetre colour display, which works in conjunction with the sound systems, USB ports, and auxiliary input jacks. Infotainment features, such as Apple CarPlay/Android Auto and navigation, are optional across the board. 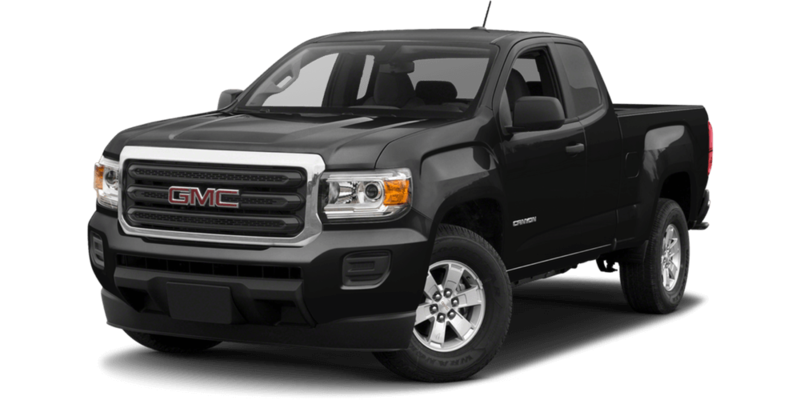 For a starting MSRP of $22,120, the GMC Canyon comes with a 200-hp 2.5L 4-cylinder engine that earns a 12.4 L/100 km city / 9.0 L/100 km highway rating. The cabin includes a 6-speaker audio system, a Rear Vision Camera, a 107-millimetre colour display, and driver-selectable rear-seat delete. 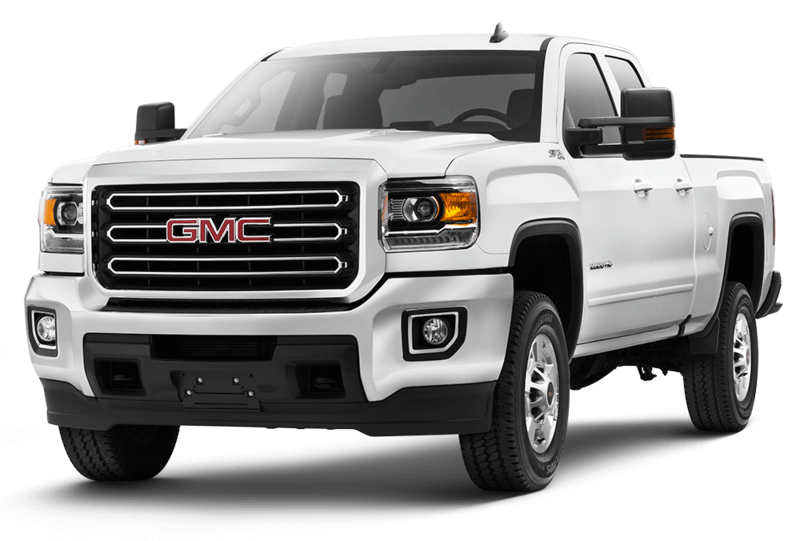 The GMC Sierra 1500 – $30,520 starting MSRP – sports a 285-hp 4.3L EcoTec3 V6 engine rated at 305 lb-ft of torque and 13.1 L/100 km in the city. What’s more, the Sierra 1500 brags 43-centimetre painted steel wheels, HID projector-beam headlamps, and 2-stage multi-leaf rear suspension. A heavy-duty pickup through and through, the GMC Sierra 2500HD can tow up to 8,210 kilograms with a Fifth-wheel/Gooseneck hitch, thanks in large part to its 360-hp 6.0L V8 engine. For a starting MSRP of $41,880, this powerhouse includes chrome bumpers and a convenient locking tailgate. Priced at a base rate of $43,580, the GMC Sierra 3500HD, if equipped with a Fifth-Wheel/Gooseneck hitch, can trailer as much as 10,478 kilograms. Under the hood rests a 360-hp 6.0L V8 engine, while the cabin includes a 40/20/40-split-folding front bench and an 89-millimetre Driver Information Centre. Get Your New Pickup Today! The GMC truck lineup is available right here at Westridge Buick GMC! To learn more about our available GMC trucks, contact us at 855-829-1813, or visit our dealership at 2406 50th Ave in Lloydminster. Our knowledgeable sales team is available from 9 a.m. to 6 p.m. Monday through Saturday to answer your questions and/or help you schedule a test drive!